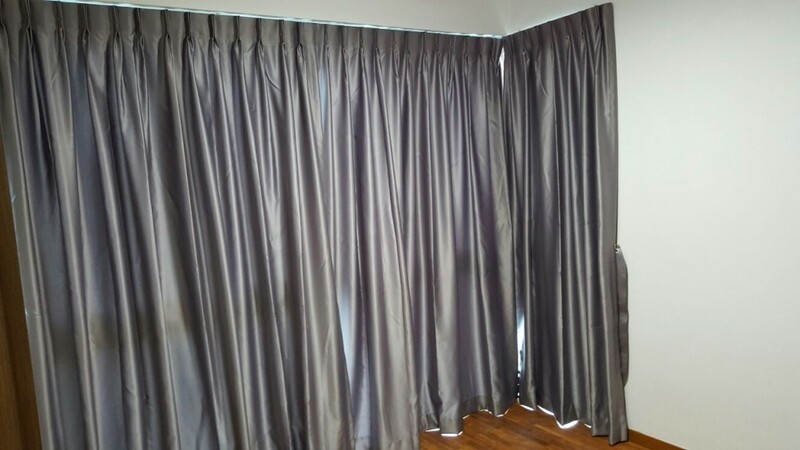 Shimmer night curtains is furnished together with plain PVC roller blinds for it’s different needs at different area of the home. 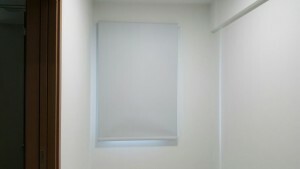 This project at Q-Bay condo, installed shimmer night curtains for 2 advantages at a go. 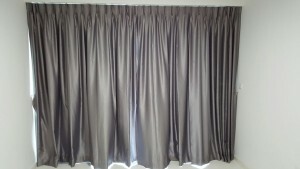 Which is, the Shimmer night curtains helps to reflect the very strong sunlight that comes in the day while at the same time giving off a beautiful and elegant look. While, when roller blinds has to be recommend for small windows to save space and easy maintenance near the kitchen area. 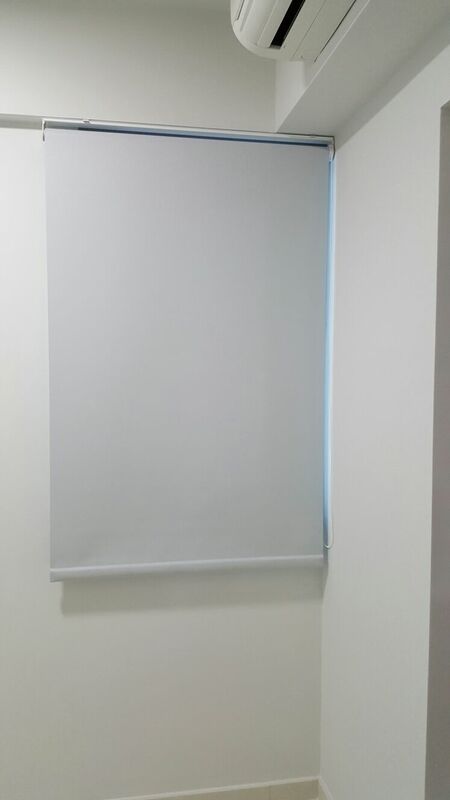 PVC material makes cleaning very easy by just wiping it with a damp cloth and white colour is neutral to the surrounding, can match the shimmering night curtains as well. 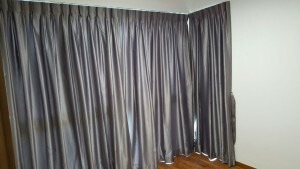 At Singapore MTM Curtains, we made-to-measure fabricating to your needs. 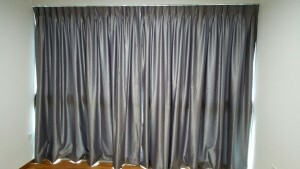 From Shimmer night curtains, to designs, plains or any textures cloth material we always ensure we QC and source the best for you!